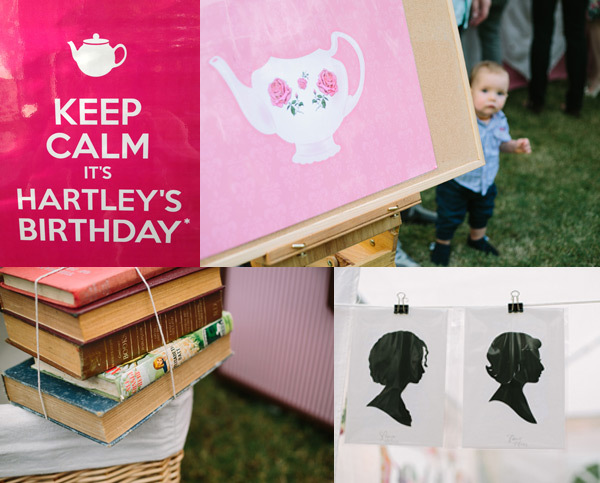 Welcome to Hartley’s first birthday, a celebration of the garden tea party kind, where everything is ditzy with delicate florals and frills and the guests can’t help but smile. 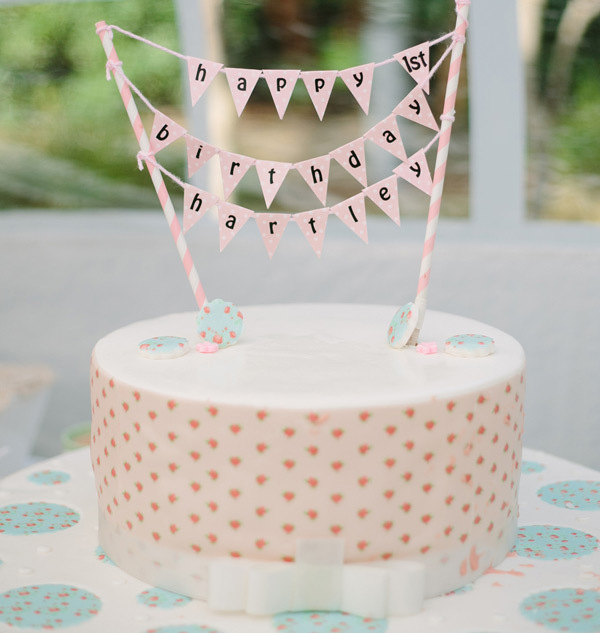 The most impressive detail about this party isn’t the prettier-than-pretty way that Sydney mum Marisa pulled it all together (though we do hold her in total awe for her party flair). It’s that after months of careful planning, she had to reschedule everything at the very last minute when the poor birthday girl came down with a rather inconvenient – and very contagious – case of hand foot and mouth disease! In a case of life imitating, well, life, Hartley’s first birthday ended up being two weeks late – just like her arrival to the world in the first place! Now on with the show. 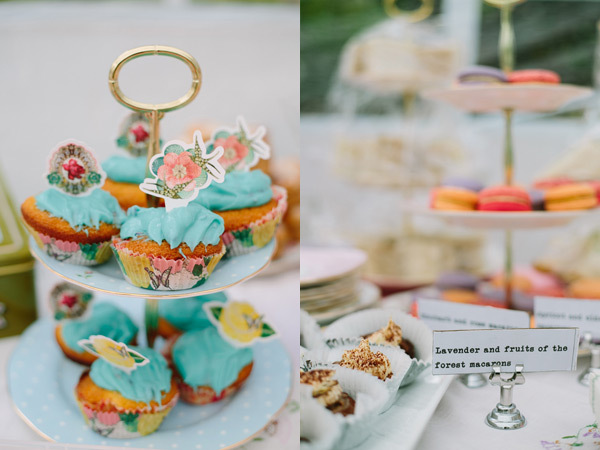 The party menu was a celebration of all things sweet and sublime, with macarons from MakMak flavoured with lavender, rose and rhubarb, and apricot and elderflower. 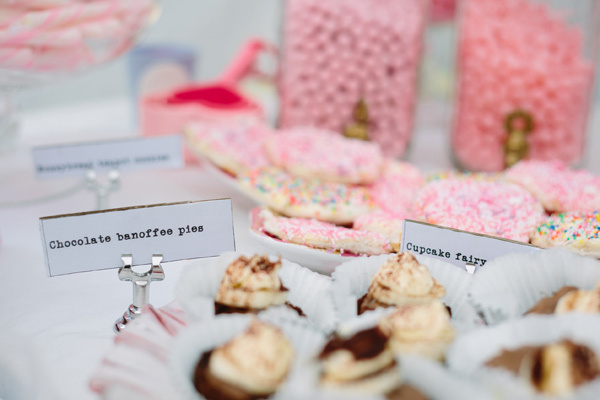 Then came a host of cutesy tea-cup shaped treats, including Sugar Pop Bakery cake pops and fairy bread. Marisa made plenty more herself too, including rosewater meringues with Persian fairy-floss (fancy! ), mini chocolate banoffee pies, gingerbread scones with lemon glace, cucumber sandwiches with dill and creme fraiche, and chicken and almond sandwiches with lemon and celery. There were even Anzac biscuits in a nod to Hartley’s actual birthday and the original party date. The birthday cake (pictured top) from Oh Sugar was a rather decadent sounding concoction of coconut and lemon interspersed with layers of chocolate ganache, all hidden under a pretty sheet of patterned icing paper. 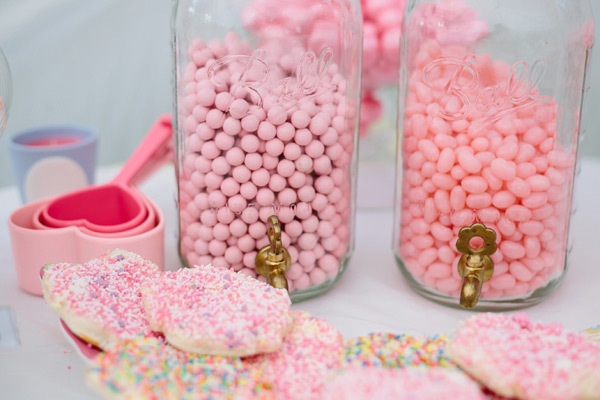 There were lollies too, plenty of lollies, in every kind of pink variety that Marisa could find at Goody Goody Gumdrops. 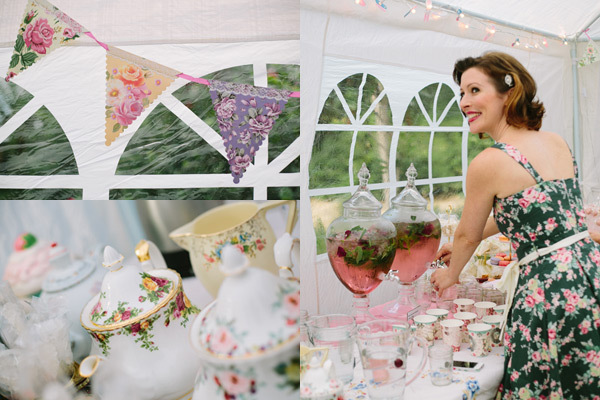 We adore all the chintzy mismatched vintage cups and saucers borrowed from The Vintage Kitchen. 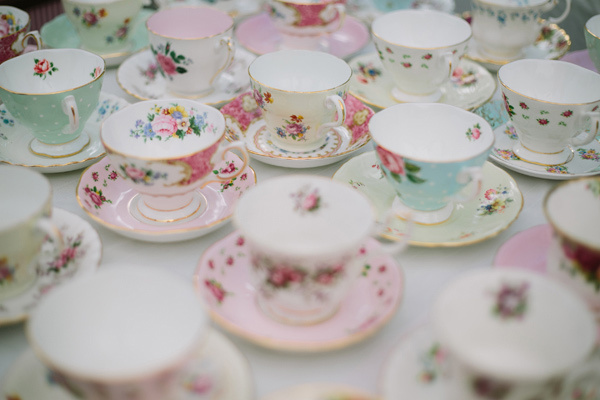 They were used to sip a collection of organic teas from Oxfam in exotic flavours such as coconut chai, Egyptian mint, ambrosia plum and raspberry Earl. Also strictly for the adults was the party punch, a devilish and heady combination of vanilla vodka, rose and mint served in pretty apothecary dispensers. 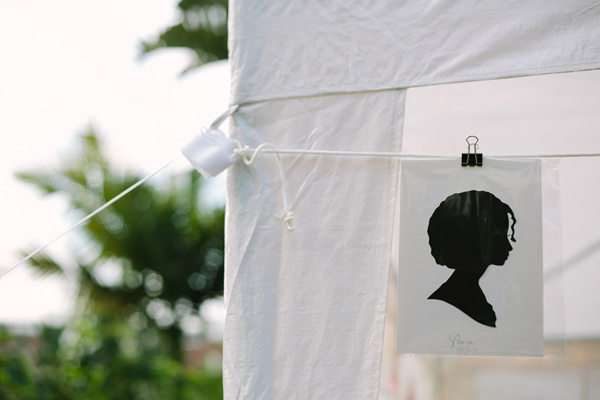 For fun, guests played pin the lid on the teapot and had their cameo silhouettes creatively snipped by Silhouette Man – certainly the most original take-home party favour we’ve seen! 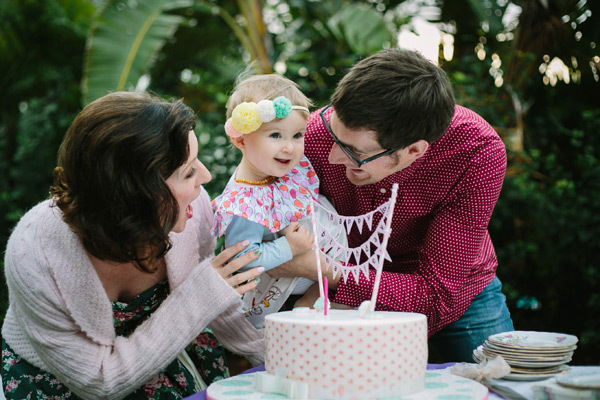 We adore too this happy snap of the entire family around the birthday cake! Precious. Though Marisa swears to us that next year it’ll be party pies in the park!